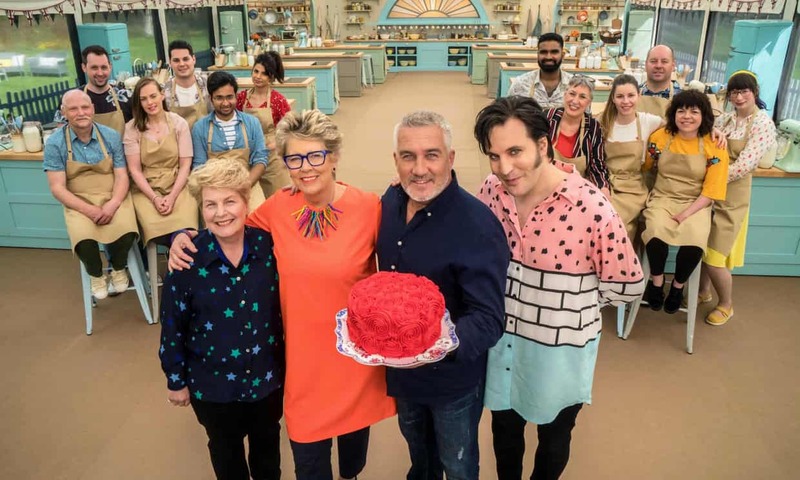 In case you were feeling a little glum from the sugar comedown after Afternoon Tea Week, the Great British Bake Off has returned just in time to fill the cake void in our lives. Here are five things we're looking forward to this series. For the estimated three people in the UK who didn't get sucked into watching Love Island this year, the last few months have been a bit of a struggle, avoiding conversations and feeling like a bit of a social outcast whilst everyone else at the office sipped on personalised Love Island branded water bottles. With GBBO back on our TV screens, it's back to cakes, bakes and all the drama that goes with it. Finally! Now, Mary Berry may have turned herself into an unexpected style icon during her reign (did anyone manage to get one of those Marks and Spencer bomber jackets?) but last year we found ourselves looking forward to seeing Noel's choice of quirky shirt each week just as much as the star bakes. Ice cream prints, giant tomatoes, polka dot smiley faces - we'll be scouring Asos for copies in no time. Like any great afternoon tea, we love a good showstopper bake as much as an offer of bottomless prosecco, but sometimes it's the classics that steal the show. We're happy to hear some of this year's challenges have gone "back to basics" in a bid to encourage wannabe cake-goddesses like ourselves to get baking. No need to worry about any more 'Italian Week' fails this year then? According to a recent survey there are around 3.5 million people in the UK choosing to enjoy a plant-based diet so it seems only fitting that this series should include a week dedicated to vegan recipes. With more and more menus offering great vegan options these days, there's no reason to think that no meat, eggs or dairy means you have to sacrifice on taste. We're excited to see what the team have come up with! 5) The end of innuendo? Okay so not so much as "looking forward to" the end of soggy bottoms but rather, intrigued as to how we might cope without them if the rumours are true. Noel and Sandi have said innuendo isn't really their thing and Paul has commented that it's "not the be all and end all of the show" (erm, we respectfully disagree). However, Prue has weighed in to say that though the jokes may not be planned, we'll definitely get some. As Noel stated last year; "If there's an opportunity for exposed bottoms we should embrace it". Rightly so. The Great British Bake Off returns to Channel 4 on 28th August. With a super busy week planned for the both of us, Afternoon Tea Week celebrations were very nearly non-existent for us at Afternoon Tea Club (must block out the entire week for cake next year) but luckily, Richmond Tea Rooms in Manchester were there to save the day with a post-work, early evening afternoon tea that's as sweet as its surroundings. 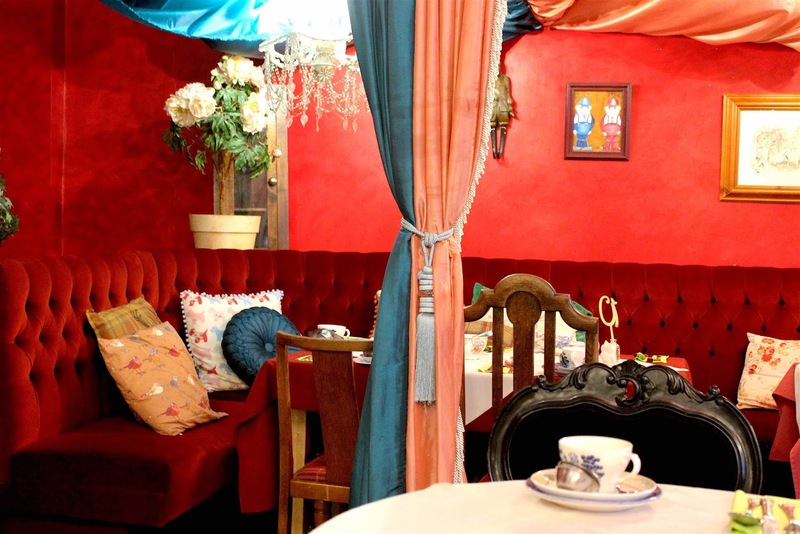 We've been to this Alice-themed wonderland a few times before for cake and coffee but we were yet to try its full Queen's Tea offering, so a sitting at 6pm (and 25% off) felt like the perfect excuse to tick it off our list. 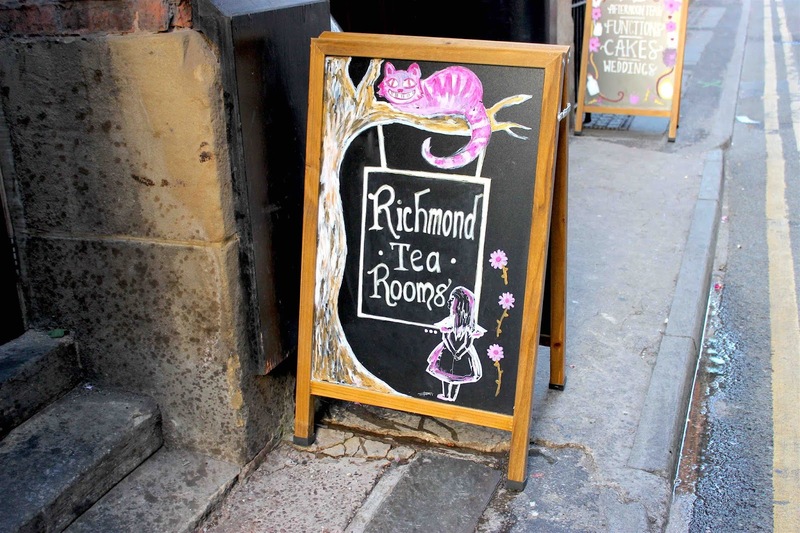 If you're a fan of all things Mad Hatter, Richmond Tea Rooms is a must-visit, decked out in plush Queen of Hearts red, mismatched teapots and 'eat me, drink me' references, it's perfect for escaping reality for an hour or two. There are five tea options to choose from ranging from The Alice Tea (cream tea) to The Richmond Tea (complete with champagne). We went for The Queen's Tea which comes served on a classic three tier stand accompanied by colourful pots of refillable tea (breakfast tea and Afternoon Darjeeling - perfect). To start, the savoury selection featured a range of fingers sandwiches including chicken mayo, cucumber and cream cheese, ham and tomato and egg mayo, plus a slice of tomato and onion bruschetta. A well-balanced selection and we loved that the sandwiches alternated between pairings of white and brown bread - a cute nod to the topsy turvy affair you might expect to find at the Hatter's tea party. Next up were the sugar dusted fruit scones, and probably our favourite part for several reasons. One, they were huge. Two, the offer of more jam and cream earned instant points (more places should do this, there is nothing worse than fighting over the last drop of strawberry preserve). And three, they were just delicious! 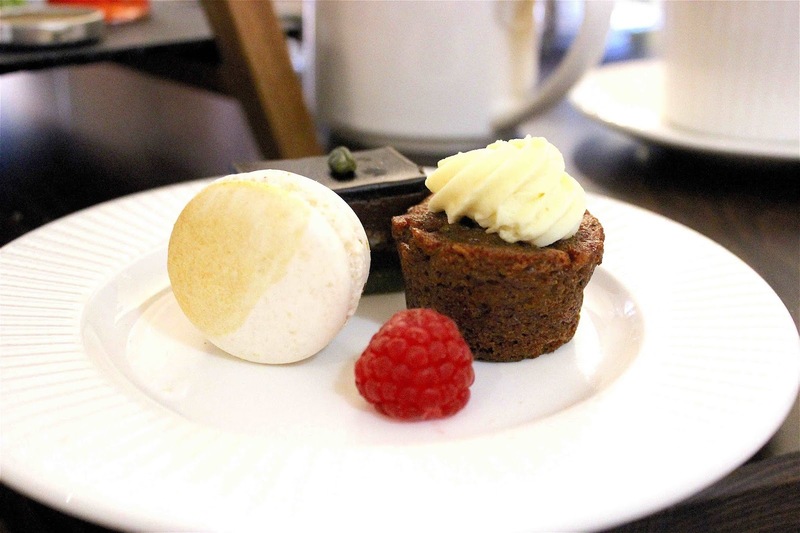 Finally, the sweet selection was just as impressive offering an idyllic blend of cute cakes, fruity flavours and subtle gestures to the tea room's home of Manchester. On offer was a strawberry cupcake, chocolate delice layer cake, Manchester tart, and passion fruit trifle. We loved every bit of it, even if we did struggle to finish the lot. The passion fruit trifle was an absolute winner. 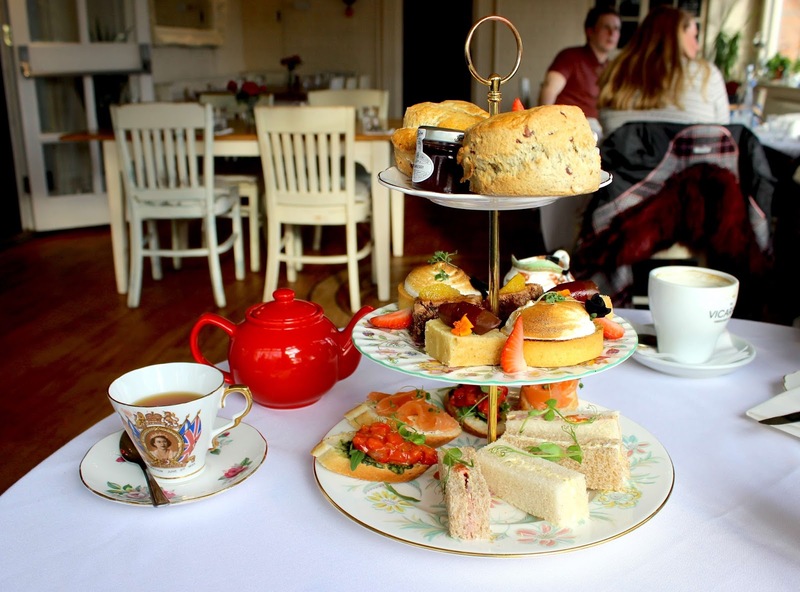 Overall, this is a great afternoon tea and worth a visit for the surroundings alone. At £18.95 per person for The Queen's Tea it's good value and there's even a gluten free option too. If you're looking for a true escape, and great tea and cake to go with it, this is the place to find it. 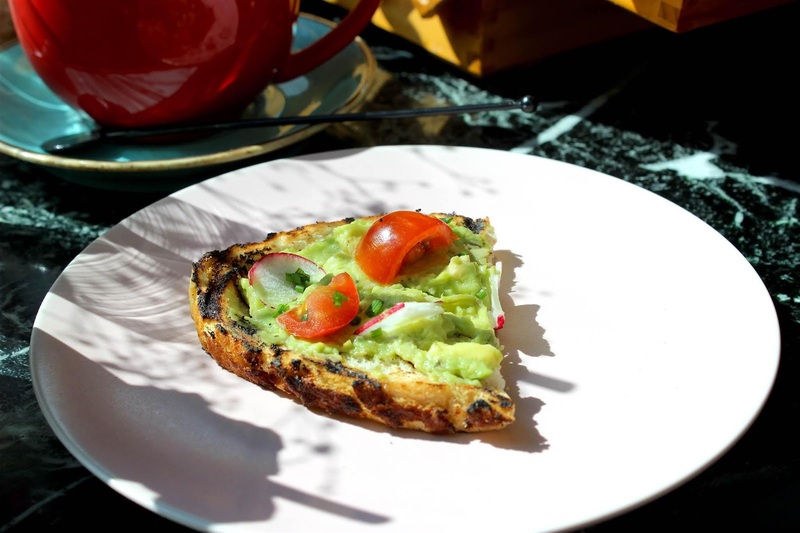 Now, the amount of times we've used the words 'breakfast tea' on this blog may make this first tip seem a little hypocritical but hear us out! 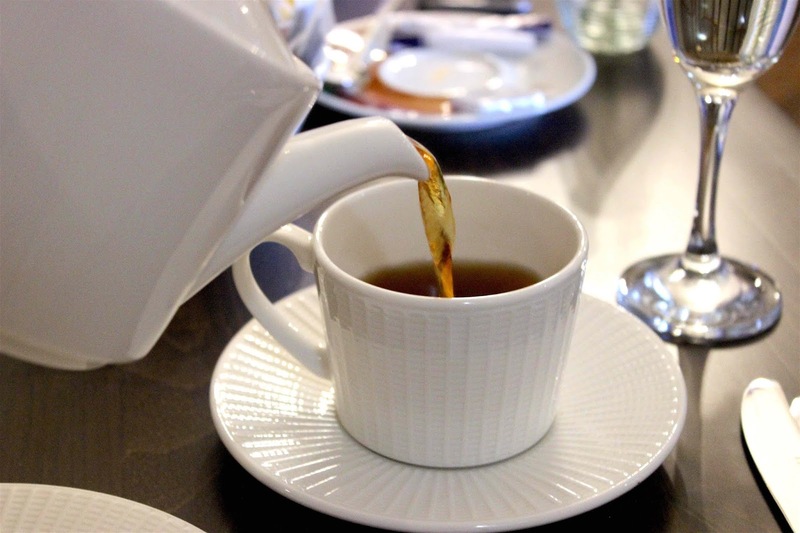 If you're not a regular tea-goer, use this as your opportunity to try something new. You might discover you're a fan of fruit teas or perhaps a smoky ceylon blend will ignite your senses with its smoky tones. It's Afternoon Tea Week and there are plenty of places bringing out the big guns with special limited edition menus, so make the most of it. 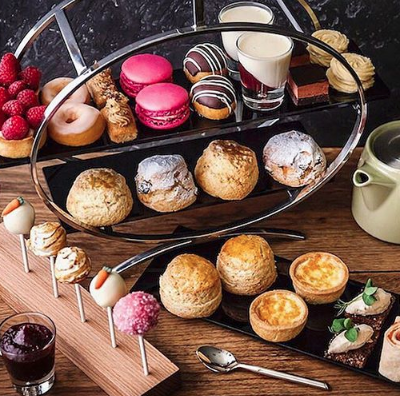 French fries might not sound like they belong on an afternoon tea stand but with a world of fabulous alternative afternoon tea menus on offer, you'll have forgotten those treasured scones were meant to be there in the first place. Keep your eye out for themed teas too like the quirky Punk Afternoon Tea at The Baltic Social or do away with dainty finger sandwiches and try The Milestone Hotel's Gentleman's Afternoon Tea complete with mini whiskey selection. Victoria sponge, carrot cake, battenburg; they're classics for a reason and sometimes, if done right, a good collection of old favourites will do just the trick. There are a whole range of traditional afternoon tea menus out there at landmark venues such as Fortnum and Mason and The Ritz but there are also plenty of favourites to be found elsewhere around the UK for less than £20 at places like The Chancery in Liverpool and The Courthouse in Knutsford. Afternoon tea may not be the formal affair it once was (though it can be a good excuse to dress up if you feel like it) but it's worth checking if the venue has any sort of dress code beforehand. 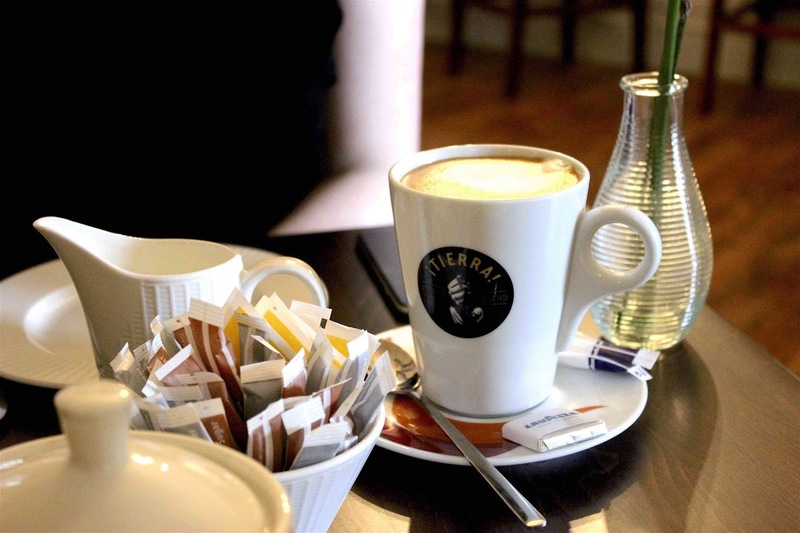 If the Cat Cafe is on your list (which it should be) think casual and comfort, but if you're heading somewhere a little more fancy like The Grosvenor in Chester, maybe give the trainers a miss. But above all else, be comfortable! 5) Too busy for tea? 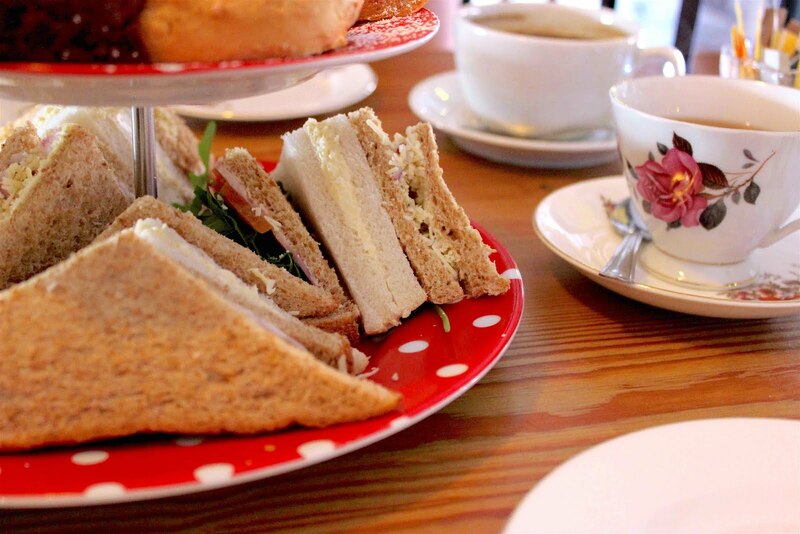 Afternoon Tea Week comes but once a year and if you've got a busy week ahead, fitting in a couple of hours in the middle of the day for cucumber sandwiches and fruit scones, may seem like a write-off. We feel your pain. However, fear not, if you still want to join in the fun, there are an increasing number of places around the UK serving "Evening Tea" as an alternative. It's got all the goods of afternoon tea but means you can get your cake fix after a busy day at work and throw in a cocktail or two for good measure. 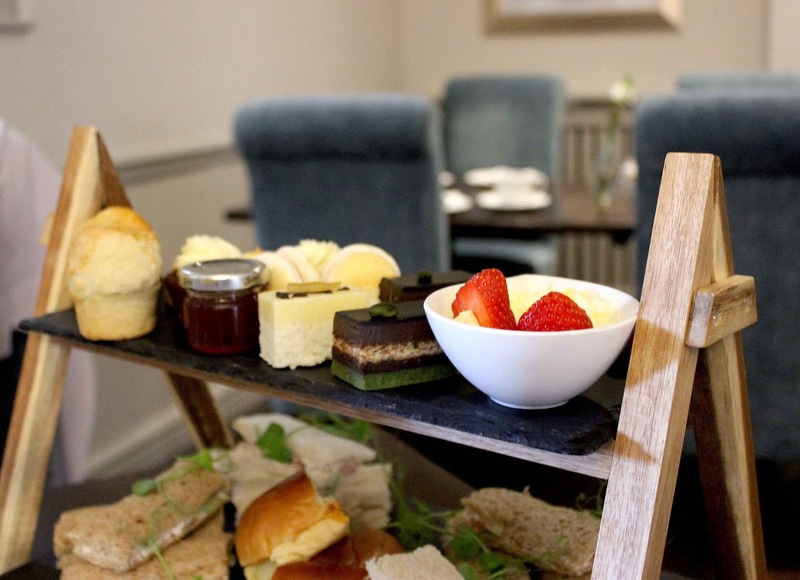 Try The Midland in Manchester for classic afternoon tea fare with a pairing of gin and tonic. Living up North with increasingly busy lives, our afternoon tea trips to London have become more of a treat than a monthly tradition. So, on occasion, when we have boarded a train to the capital for the day, we have optimistically opted to make the most of our time by booking two lots of tea. On paper, this sounds like the best day ever. In reality, the cake becomes a struggle. Learn from our mistakes, don't do it. What are some of your top tips? Let us know in the comments! For our fellow afternoon tea lovers out there, Christmas has come early in the form of Afternoon Tea Week, giving you the best excuse ever to indulge in tea and cake (come on, like we ever needed the excuse). Taking place on 13-19th August, there are plenty of great new menus and venues to try and all this week we will be bringing you plenty of inspiration to get you in the mood to celebrate. Plus we've got lots of new reviews from our recent travels up on the blog so go check them out too. Follow us over on Twitter and Instagram for all of the latest, then go grab your friends, choose your tea, and have a fab Afternoon Tea Week. P.s. Let us know how you're celebrating in the comments! Sometimes artisan pastries, fancy chocolate work and dainty macaroons seem like the most sure fire ways to make an afternoon tea that little bit special. But every now and then, it can simply be about home comforts, traditional flavours and good stodgy slices of cake. At The Chancery, Liverpool, the latter is the order of the day. We visited The Chancery on a quiet rainy afternoon a few months back after spotting a last-minute deal which we figured would be rude to pass up on. 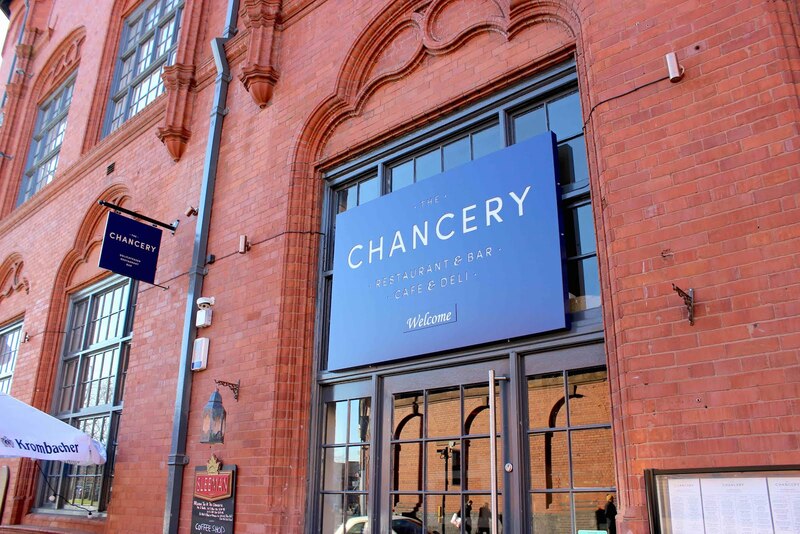 Set just across the road from Liverpool's L1 shopping centre, The Chancery is in a central location but tucked back just enough to make it a good hideaway from the bustle of weekend shoppers. The restaurant was apparently inspired by a trip its owner took to New York around ten years ago which sparked the idea to combine casual style fine food in a bistro setting alongside a coffee and wine shop. You can definitely get a sense of that here. 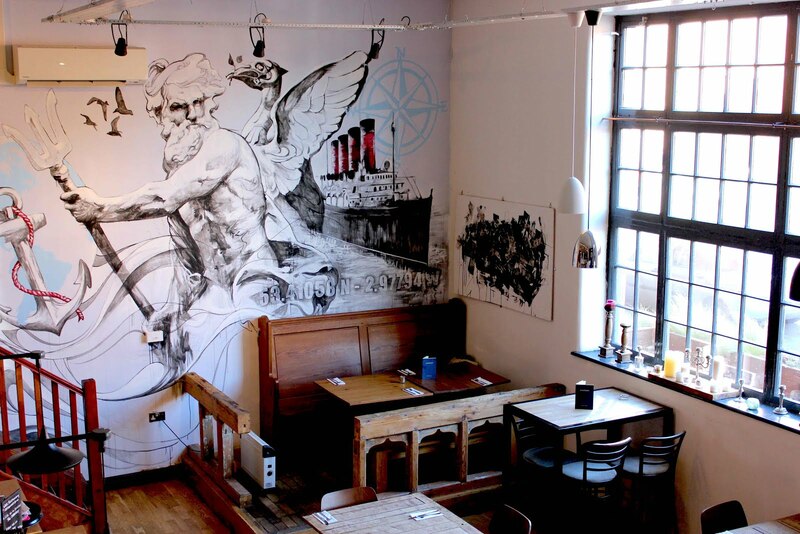 The huge windows feel very much like a Brooklyn loft and the collection of curious furnishings such as the church pew seating, nautical features and giant mural (an ode to Liverpool's naval past?) bring an injection of character that's unlike anywhere else around. Afternoon tea is presented on a cute two-tier polka dot stand complete with a hodgepodge of teacups and saucers and vintage-feel teapot filled with our go-to breakfast tea. We do love a mismatched tea set - so very Mad Hatter. You'll notice this isn't your typical delicate finger food assortment but rather a generous selection of classic flavours and styles. Starting with the sandwiches, cut into triangles, they are bursting with fillings including ham and tomato, egg mayonnaise, and cheese and onion. And there are plenty to go around so be sure to skip any pre-tea snacking. Next up, the scones were a good chunky size, sprinkled with sugar and with a rustic fresh-out-of-the-oven feel. Served with lashings of jam and cream, they were absolutely delicious. Sharing the same tier, the sweet selection features a range of well-loved favourites cut into sizeable slices including carrot cake, chocolate sponge and macaroons. 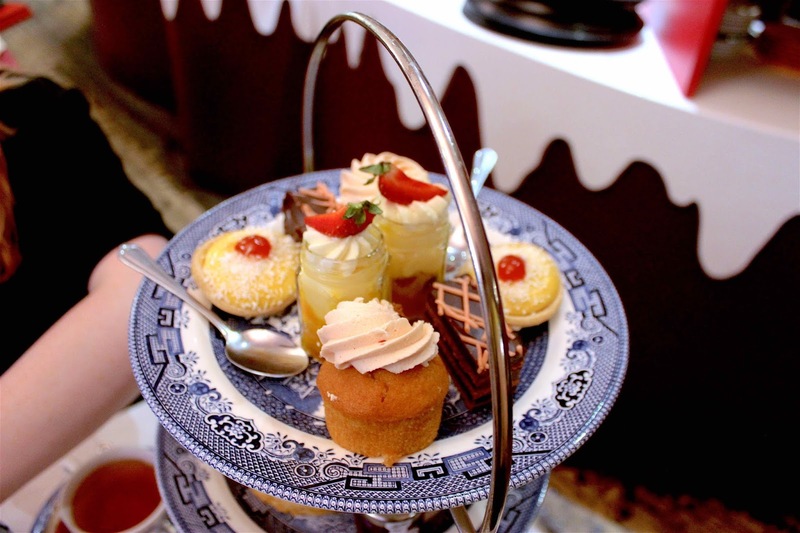 To the regular afternoon tea goers out there, this might seem like The Chancery is playing it safe, but believe us, it's much more difficult to do the classics right and these versions were incredible. Overall this was a really nice afternoon tea, it ticks all of the right boxes and if you book in soon, it's a steal at £30 for two people. If you're looking for no gimmicks but plenty of good food, you can't go far wrong with The Chancery. Have you ever been to The Chancery? Let us know in the comments! Despite only being an hour up the road, until this past week I had never been to the Greater Manchester town of Bury. Yet this weekend I somehow ended up there twice, first for Chinese food and retro video games and second for afternoon tea. Even with my impressive Ms. Pac-Man skills, the tea may just have the edge. 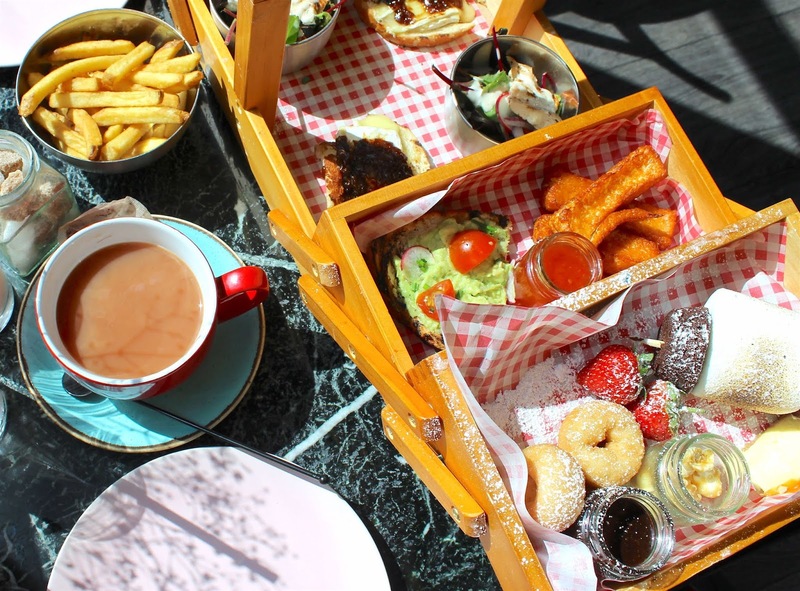 We first spotted West Ivy's afternoon tea whilst perusing our Twitter timeline for our next cake adventure and were instantly intrigued by its fun picnic-like presentation and pink strawberry milkshakes. Opened earlier this year in a bid to deliver city centre dining without the price tag, the restaurant is adjacent to a range of high street eateries which form part of The Rock shopping complex, complete with an outdoor decking area for soaking up the sun. This al fresco feel continues inside where greenery cascades from the ceiling and light pours in through wall-to-wall full-length windows. We wore sunglasses inside, don't judge. Word has clearly spread about West Ivy's unique offering as the restaurant was chock full with plenty of people enjoying afternoon tea, which added to the busy city dining ambience. 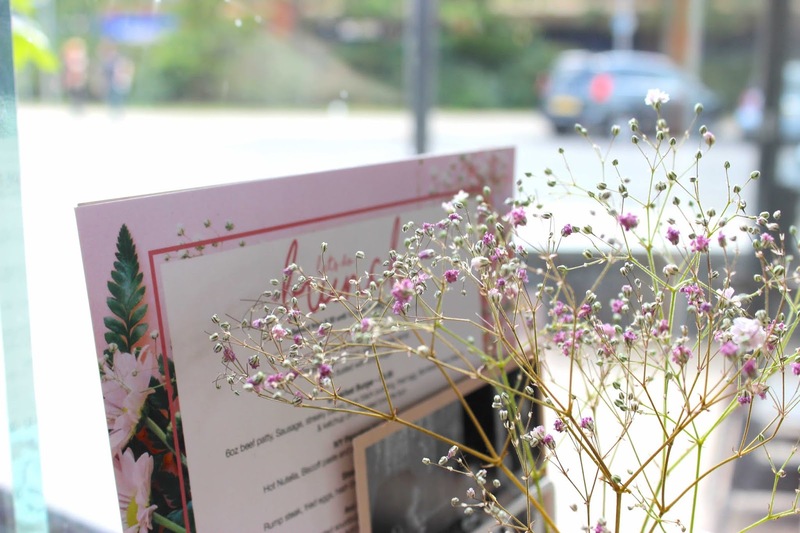 When seated at our sun drenched window table, we were offered the option of prosecco, tea or coffee. 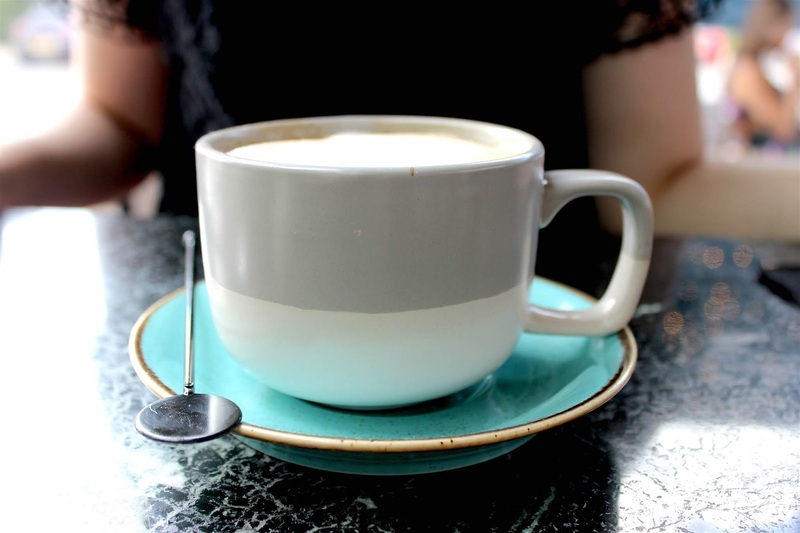 It seemed odd that this was presented as an either/or choice - not a huge deal for us having only planned on hot drinks but might be one to check for those fancying some tea with a side of candy floss prosecco (yep, it's a thing). Tiny criticism here with the tea, but one our eagled eyed Twitter followers haven't failed to pick up on. Tea is served with the bag still in the cup and nowhere discreet to place once used. It's certainly not a deal breaker but it would have been better to have drinks served in a pot to allow enough time to brew and avoid any unsightly (read: non-Instagram worthy) tea stains. 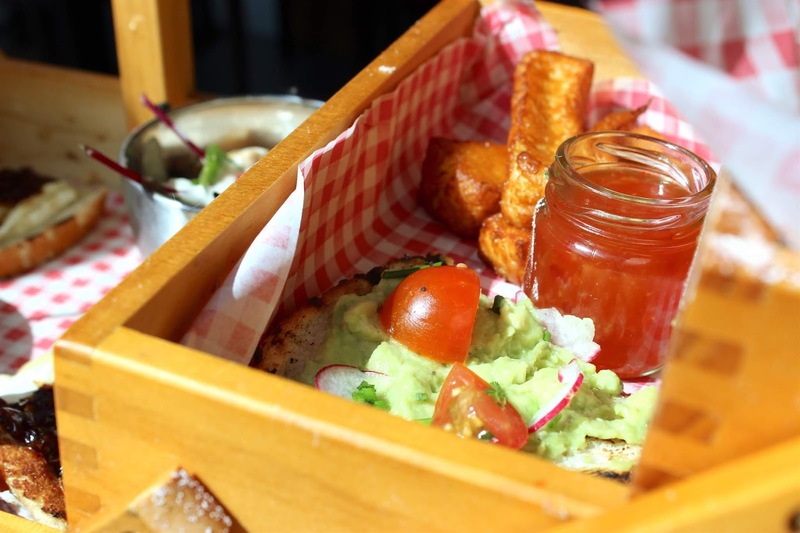 Food comes served in a wooden picnic style basket which opens out into three tiers on each side to reveal a huge selection of food, glorious food. 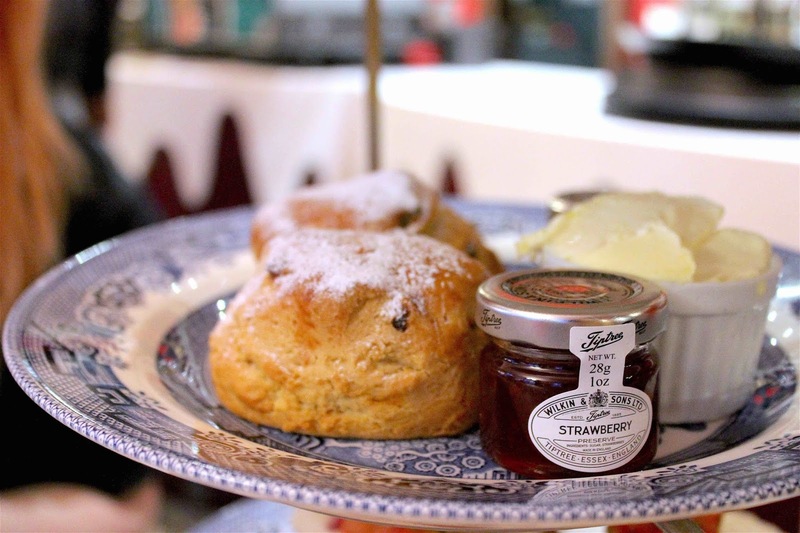 With a bowl of fries thrown in for good measure (similar to The Baltic Social's Punk Tea), this is undoubtedly an alternative afternoon tea - scone lovers, be warned, you won't find them here. What you will find though is a great variety of flavours and miniatures that will leave you feeling full but not in need of a forklift to take you home (if you've ever partaken in double afternoon tea, you'll know the feeling - will we ever learn?). 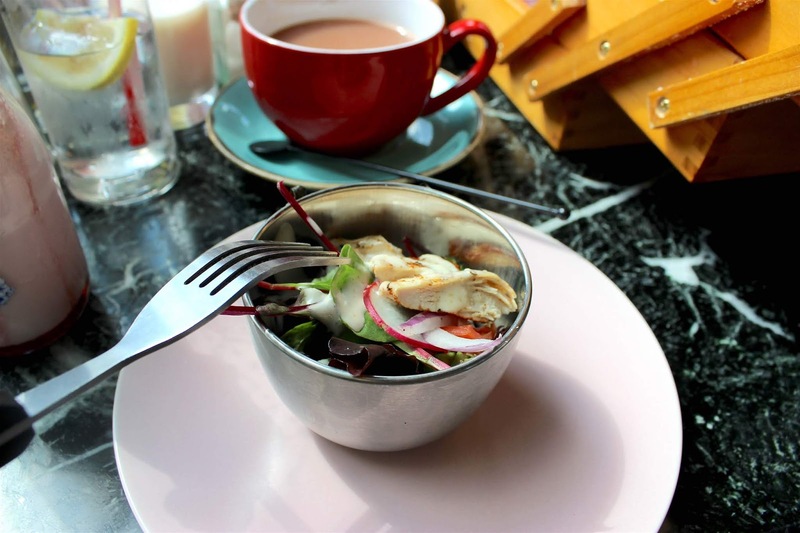 To start, we had mini chicken salads served in individual dishes which were absolutely delicious, shortly followed by crushed avocado, tomato and radish on toast and chunky halloumi fries. 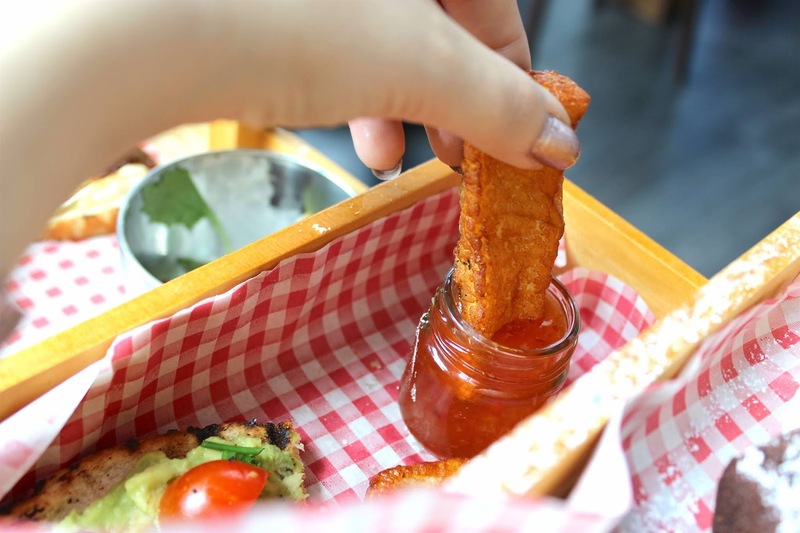 Not to be a millennial cliché but the avocado on toast was amazing and the halloumi fries dipped in sweet chilli sauce were incredibly moreish. On to the final tiers, and the part that earns this tea the moniker of the "sweetest tea" we've ever had, the dessert selection will send you into a sure sugar coma. 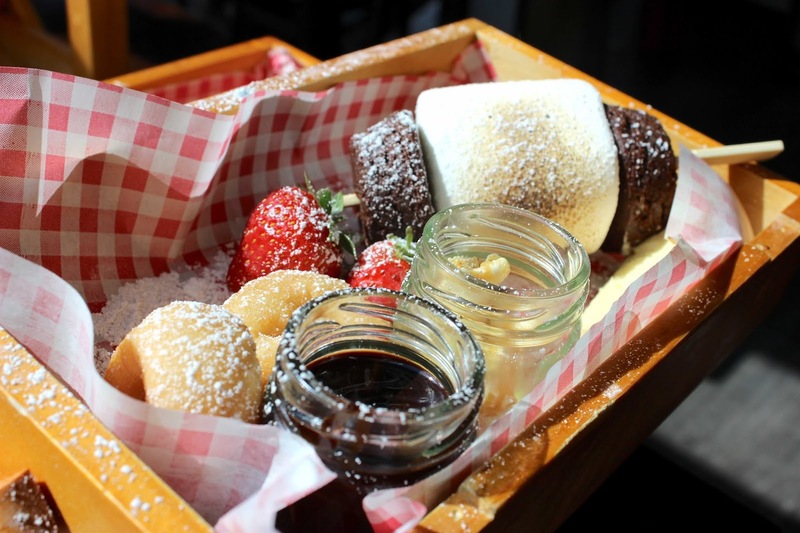 Mini donuts dipped in Hersheys chocolate sauce (one of our favourite things ever), slices of caramel cheesecake, miniature jam jars filled with toffee popcorn, and a giant, lightly toasted, marshmallow and chocolate brownie skewer. It's all so good. 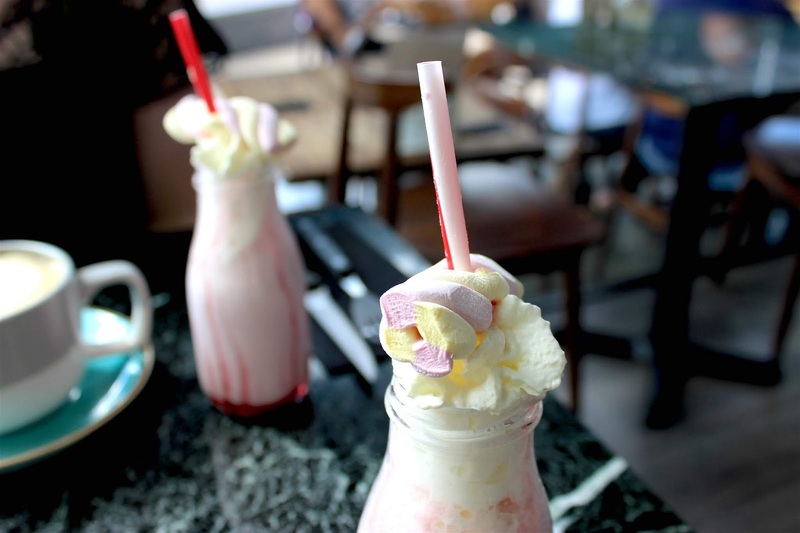 Plus, to top it off, you have a strawberry and cream milkshake on the side decorated with more marshmallows, otherwise known as "the pink unicorn shake". Heaven. It's been a while since we've sampled an alternative afternoon tea and the West Ivy may have just reignited our love, though for the traditionalists out there, it might not satisfy your classic afternoon tea cravings. 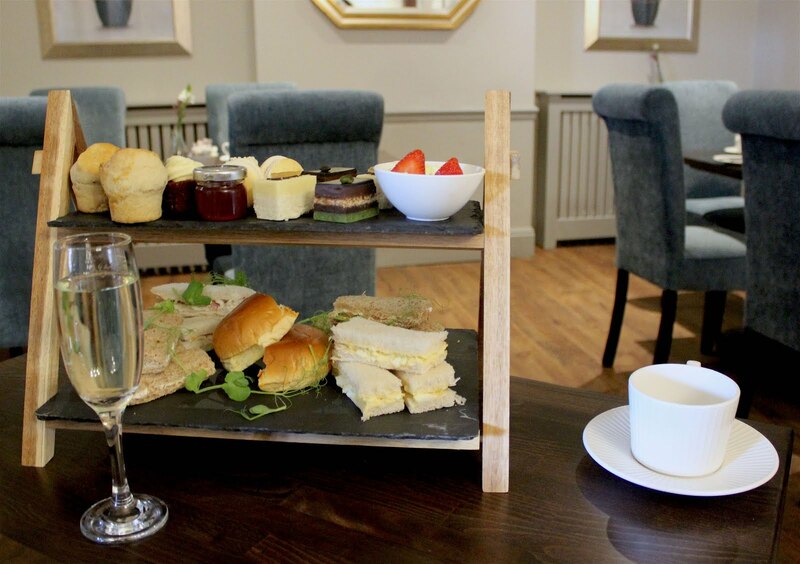 At £19.95 per person, it's a good price if you're after something a little different and the environment itself is perfect for a modern take on afternoon tea. If you're a bit of a sweet tooth, the West Ivy is an absolute must. 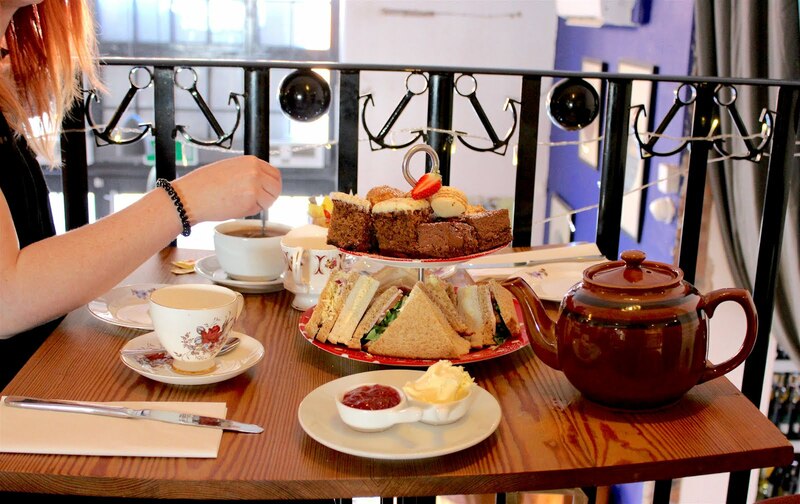 Have you been for an alternative afternoon tea? Let us know in the comments. A stroll along Lower Bridge Street towards the River Dee is one of my favourite things to do on a lazy Sunday. 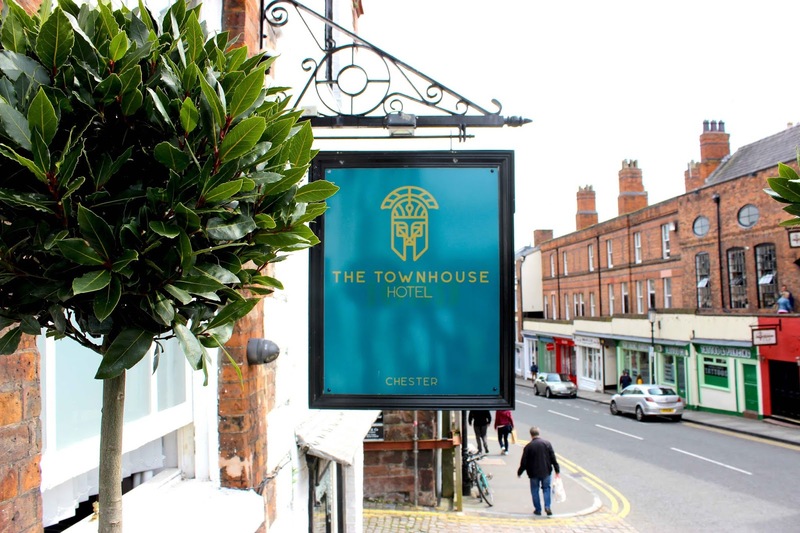 Throw in a pit stop for pastries and prosecco on the way and you've pretty much described my ideal afternoon, which is exactly why we stopped by The Townhouse Hotel in Chester last month for a spot of afternoon tea. 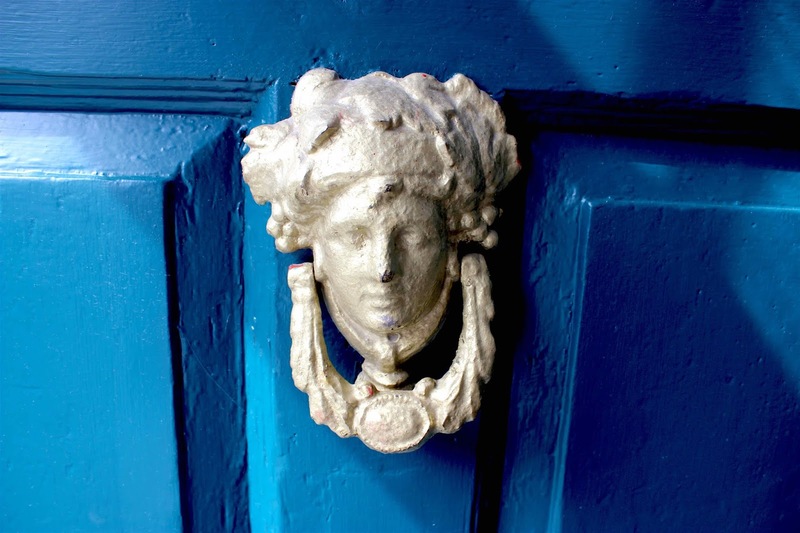 Set in a Georgian style townhouse building, the hotel has a luxe feel right from the start with a teal colour scheme signposting your way in, which continues inside with a more contemporary feel accompanying its Victorian features. Afternoon tea is served in the bar area which bridges the lounge with the dining room. The latter may have been a slightly better location for tea but as it was a particularly quiet afternoon perhaps the bar area was preferable for service. Nonetheless, it's a pleasant setting, kitted out with velvety grey dining chairs and dark wood furnishings. 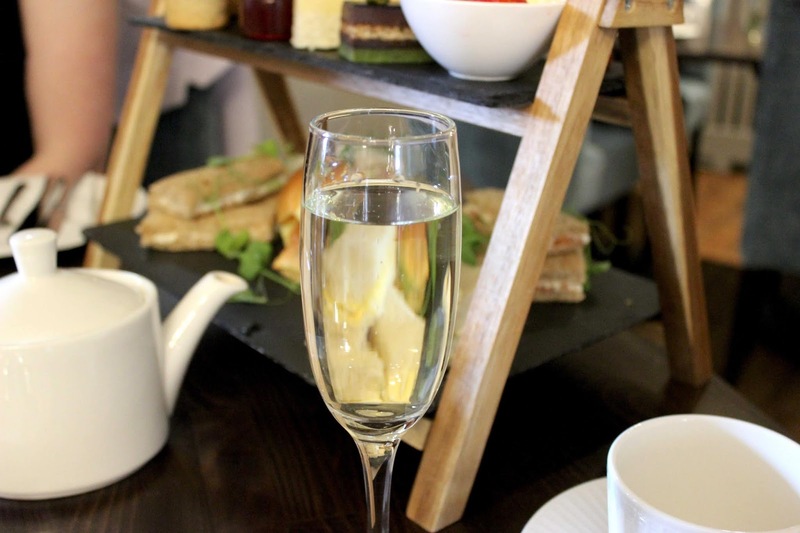 There are three options for tea; traditional, sparking and bottomless prosecco. We opted for sparkling which comes with a glass of prosecco each (as not to overindulge) but given the price of bottomless (£29.95pp), it's well worth upgrading if bubbles are your thing. 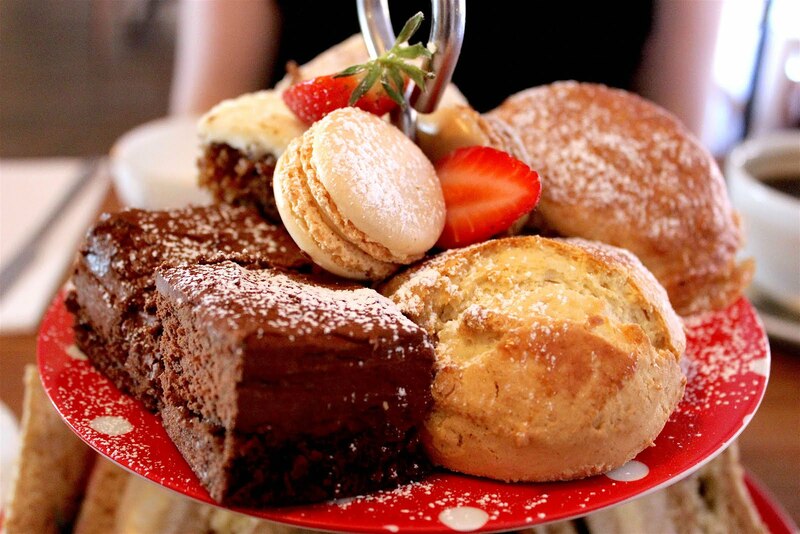 Tea is served on a two-tier slate stand and is chock full of different flavours, shapes and sizes. To start, the range of sandwiches include both finger sandwiches and brioche buns with fillings such as; roast Ham with fruit Chutney, roasted red pepper and hummus, egg and cress, cucumber and cream cheese, and smoked salmon and crème fraiche. The red pepper and hummus brioche was amazing and the overall selection was equally impressive and catered to just about every kind of palette. We're not particularly fussy so successfully scoffed the lot in no time at all and would have happily made room for more hummus. Next up, the scones aren't exactly presented as the main event here, nestled in amongst the rest of the patisserie selection, however they deserve their own little place to shine due to being deliciously soft served with a handsome dollop of jam and cream. The sweet selection was probably our favourite part (let's be honest, when is cake ever not our favourite part of anything?). Balanced out with exactly the right amount of chocolate, traditional flavours and fruit, the selection earns itself a big thumbs up. On offer was a chocolate and pistachio layer cake, white chocolate and coconut sponge (sooo good and unusual), ginger cake, and macaroons. It's been said a million times before, but we love a macaroon with afternoon tea, not least because they Instagram so well, and the blend of traditional with some unusual flavours made for a memorable top tier. Overall we had a lovely afternoon at The Townouse Hotel. There wasn't a great deal of atmosphere as we were one of only two groups dining at the time but that's a real shame, and hopefully not usually the case, as this is definitely a tea worth putting on your list. At £23.95 per person for sparkling, it's reasonably priced for a city centre tea, and if you're a prosecco lover, for £6 extra, two hours worth of free-flowing fizz makes its a no brainer. 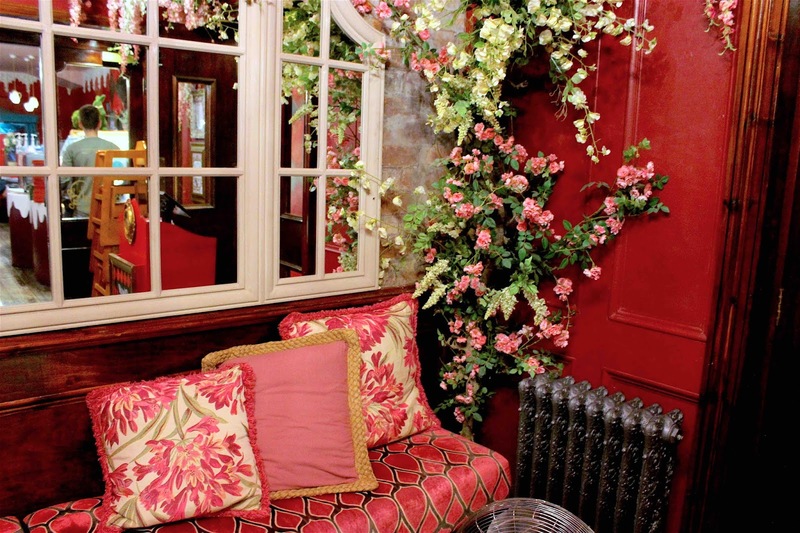 Have you ever visited The Townhouse Hotel? What did you think?